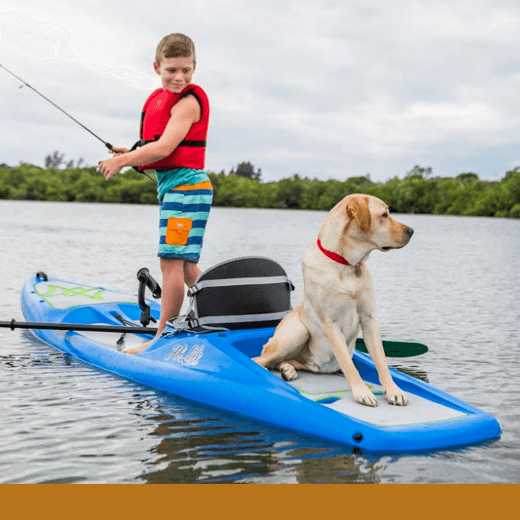 The Perception Hi Life Kayak is the most versatile boat ever built, offering a sit-on-top design that can be paddled like a kayak or a stand-up paddleboard. Its maximum stability and unique features create an experience that’s unlike anything else—perfect for sharing the water with kids and pets. The low-profile rear swim deck with handles makes it easy to get back on board after swimming, while the large open front area is the perfect perch for small children or a pet.